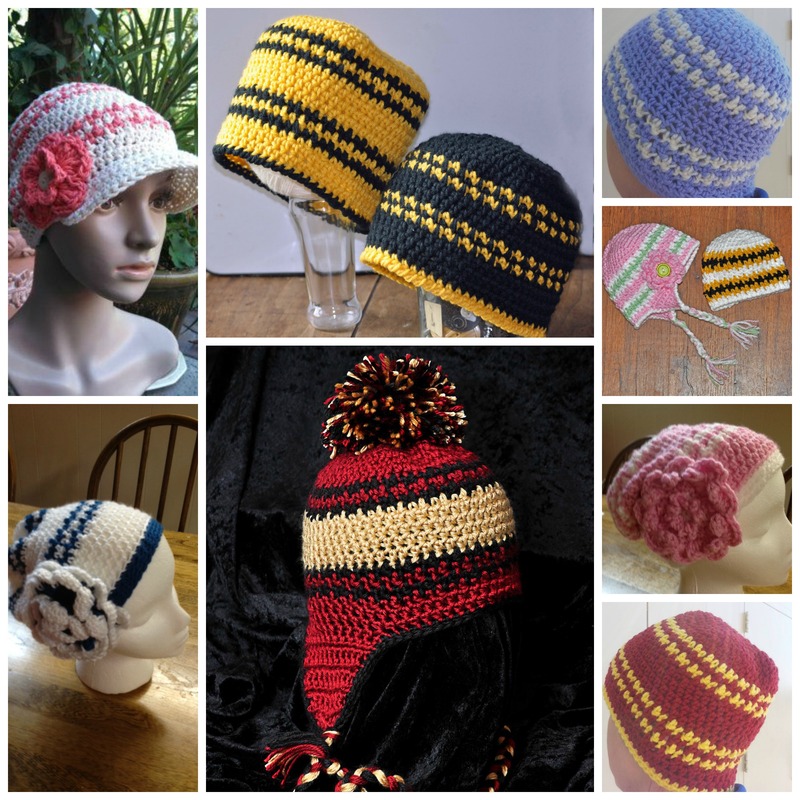 I’ve loved seeing all the different versions and styles of my Hounds Tooth hat pattern. Each individual has taken something and added their own personality to the hat. 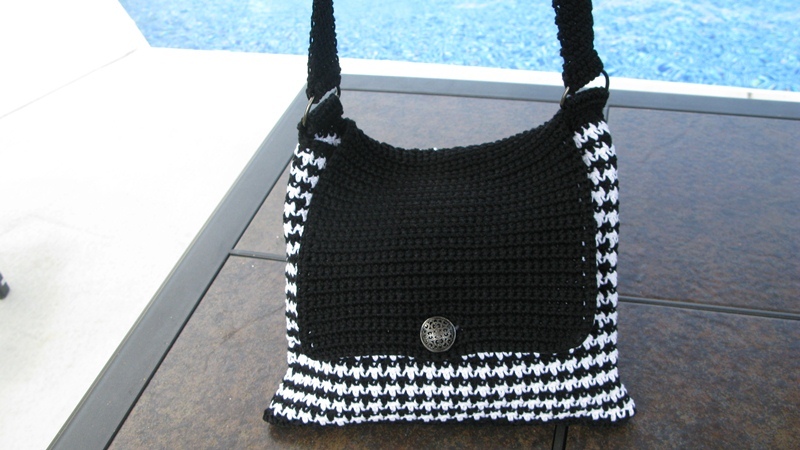 I couldn’t be more proud to share this picture with you and say thanks for making my pattern. I have “Making it thru Monday” on my ELK Studio Facebook page and it’s a wonderful time for you to share anything that you’ve made and want us all to see! 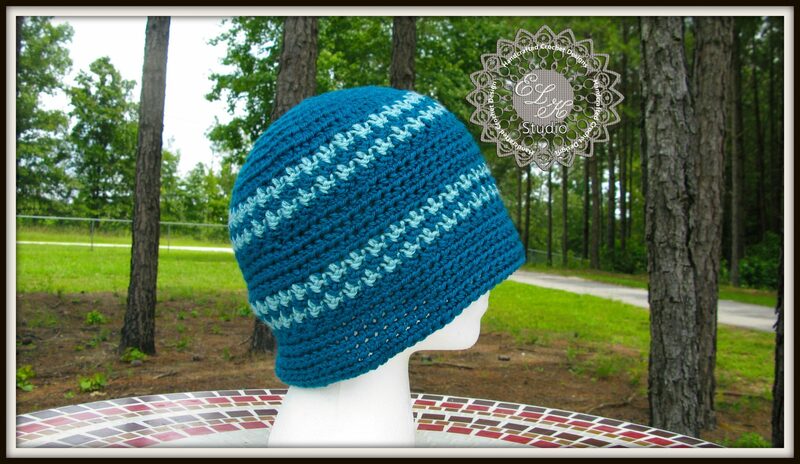 I used Caron Simply soft in the hat pictured below. It’s what I used when I made the Hounds Tooth scarf, so I figured it would be a good place to start. 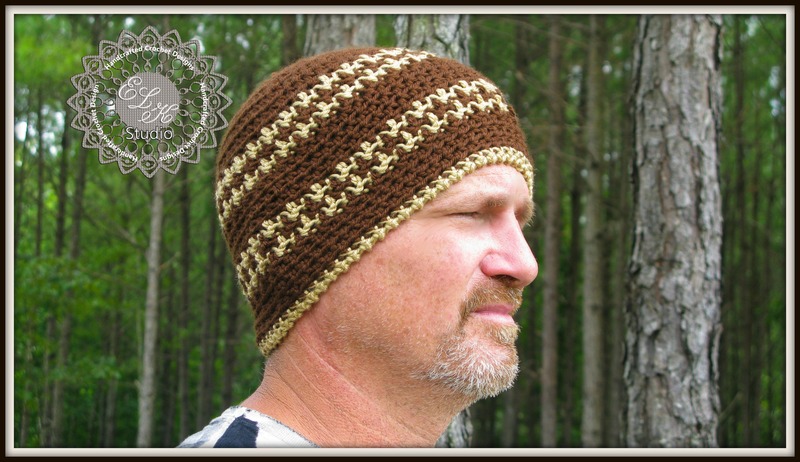 I made this hat for my husband and had to do an extra increase round in order for it to fit him. To be honest though, I have worked with the Sinfonia cotton yarn since the beginning of the year and it could have been my tension was too tight. 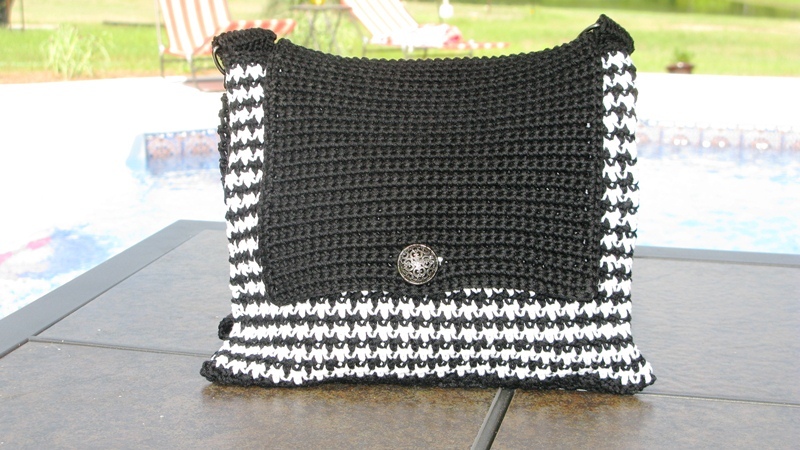 As I progressed with different yarns, I was able to follow my pattern without any changes. 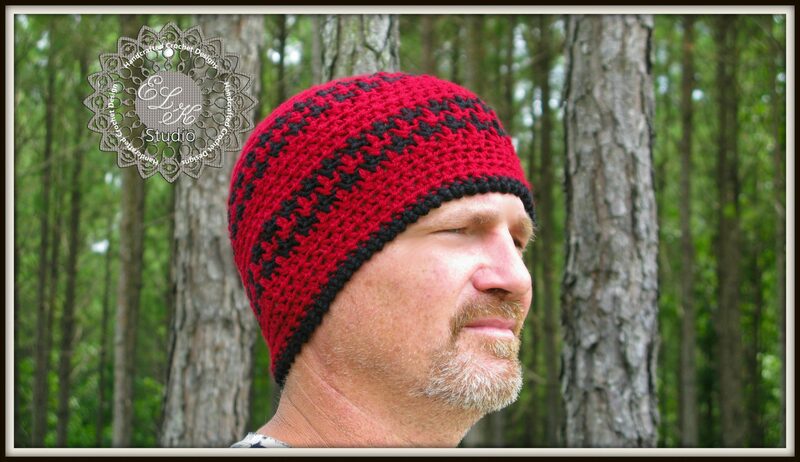 I also tried Red Heart Soft for the dark/light brown hat (my favorite one out of the bunch). The hat worked up pretty quickly, but I think my only disappointment is the yarn had the tendency to “snag” a little easier than expected. The result was still good though as this yarn has more of a sheen to it than Caron Simply Soft. I followed my pattern exactly and the hat actually fit Emory. I wanted to see how big the hat would turn out if I did an extra increase round. It fit Emory but it wasn’t as snug as you would want a beanie to fit. Of course, you can see the color and so you know that he wouldn’t let me take his picture! You’ll just have to take my word for it. The last yarn I decided to use was I Love This Yarn by Hobby Lobby. I really liked the yarn for this particular project. I didn’t have to worry about my tension and could just crochet. I followed the directions without incident. The hat would fit the average person’s head (22 in.). I liked the sheen to the Red Heart the best but as far as the way the hat looks and the overall ease of the material, I probably will make most of the hats using ILTY. Here are some examples from the Hobby Lobby yarn. Do you need help with the stitch! 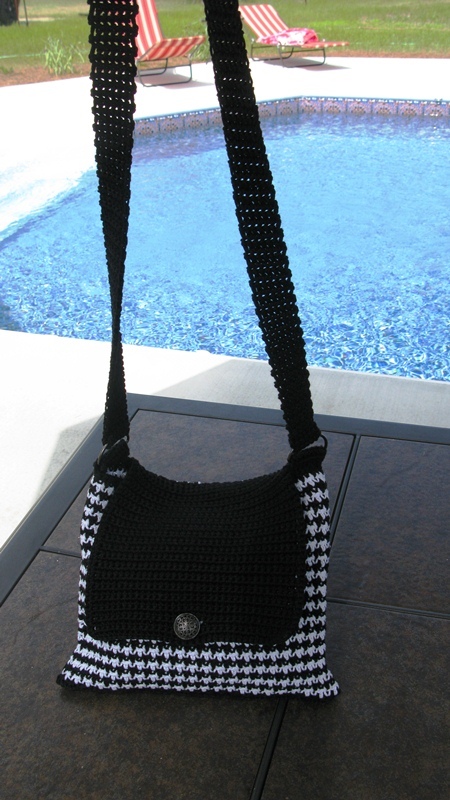 Here’s a houndstooth tutorial for you! You can see I’ve had plenty of time to crochet while waiting for my computer. I would love to hear what yarn you chose and your opinion of the yarn. Here’s the pattern! 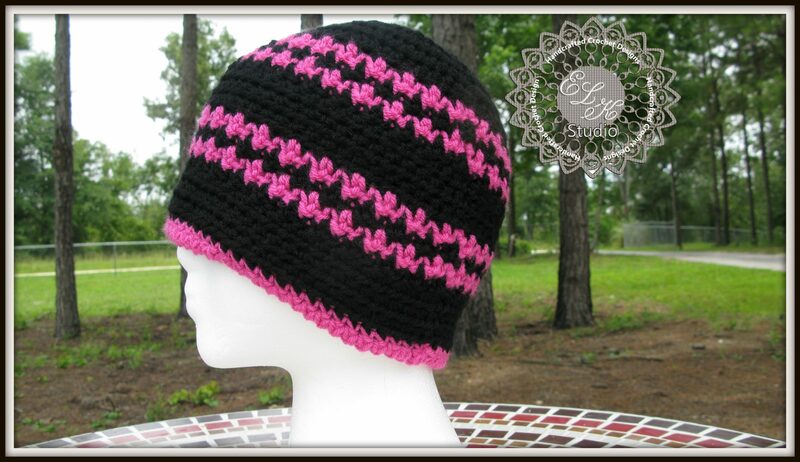 I hope you enjoy and have fun making the hat! Gauge: Approximately 5-6 stitches and 6 Rows = 2 in. (Measurements used from the rounds using the hdc st. 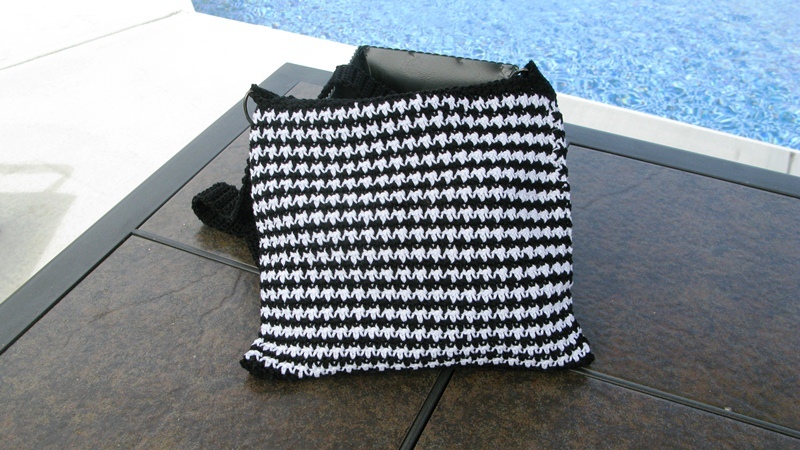 Reverse SC – Also known as the crab stitch, is made by doing a single crochet stitch but in the opposite direction. Right-handed people work from left to right and left-handed people from right to left. On each round of the rows I will instruct you to ch 1. This does not count as a sc/hdc/dc throughout the pattern. Round 7: ch 1 and hdc in same sp, hdc in next st and around, join by sl st in first hdc and change color. Round 9: ch 1 and dc in same st, *sc in next st, dc in next st* until last sc, change color, sl st to first dc. Round 12– 14: ch 1 and hdc in same sp, hdc in next st and around, join by sl st in first hdc. Round 19-21: ch 1 and hdc in same sp, hdc in next st and around, change color, join by sl st in first hdc. Round 22: ch 1 and sc in same sp, sc in next st and around, join by sl st in first sc. Round 23: Reverse sc in previous st and reverse st in each st around, sl st in first reverse sc. (see above in the abbreviations for help with the Reverse sc). I totally believe in free enterprise and give permission to sell products made from this hat. Just do me a favor and give me credit for the design! Oh, and please don’t use my photos as your own! I would love to see your photos of the hat!